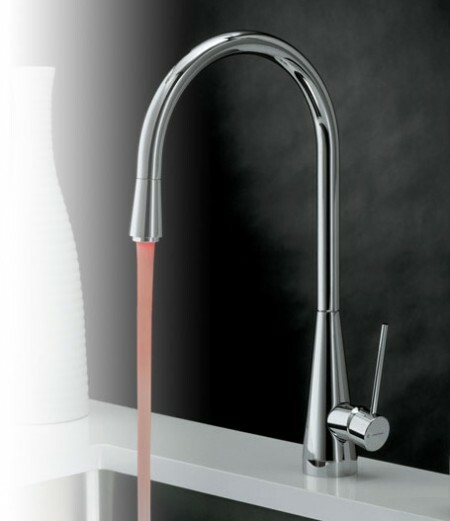 Most people do a lot of work over their kitchen sink and often it’s the darkest part of your kitchen. 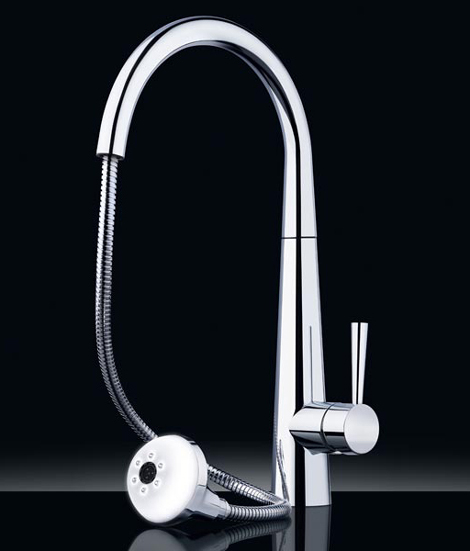 Nobili Spa has just introduced the Sun Lamp Faucet which puts the light right in your sink. 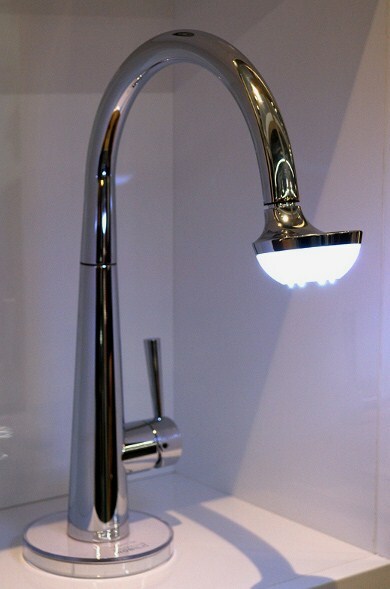 The idea is simple yet smart- attach a light to the end of the faucet so you can see what you’re doing in that workspace. 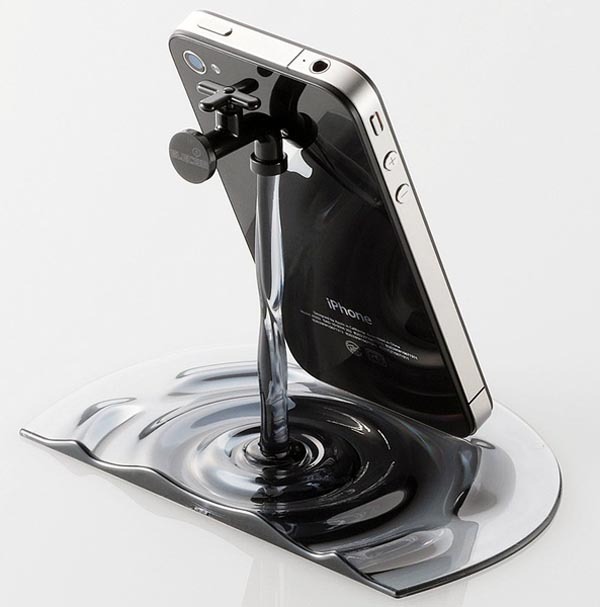 It’s kinda genius if you ask me. 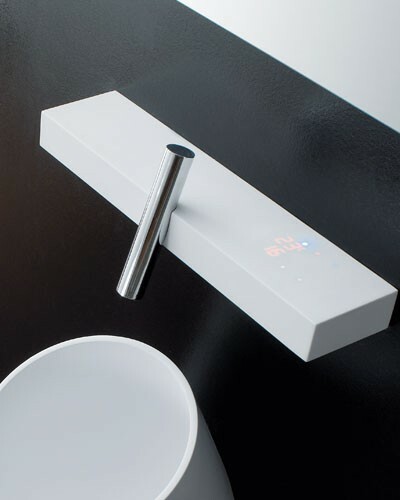 There are 30 LED lights mounted at the tip of the pull-out faucet and the lights and water are on separate switches for your convenience. 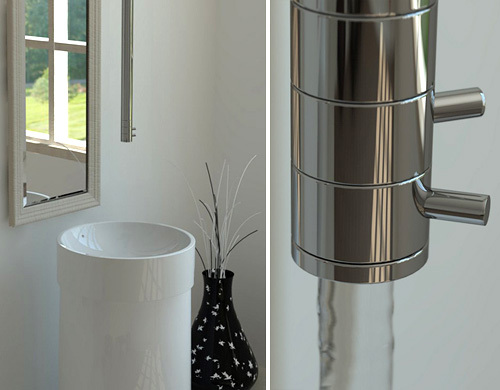 The contemporary faucet has a chrome finish. 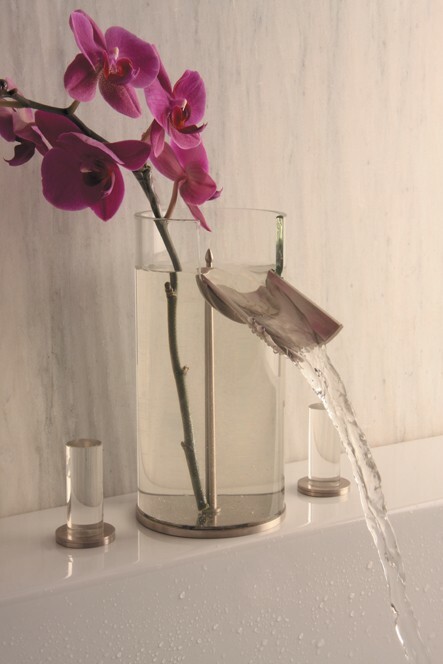 This could be the start of a trend- under cabinet lights were not very common a few years back and now it’s a semi-standard high end kitchen accessory. 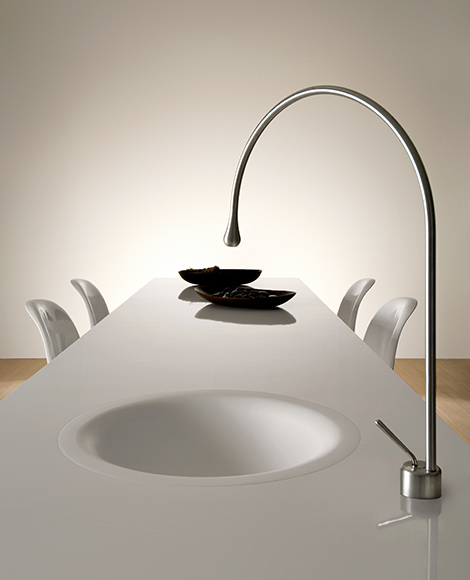 Could the faucet light become commonplace in new kitchen design? 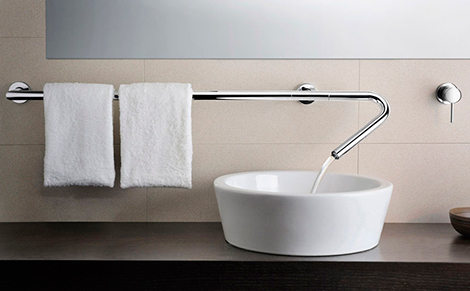 Towel Bar and Faucet Combination! 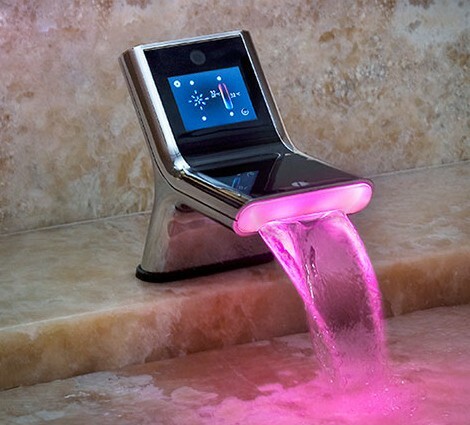 Room Gadget » Blog Archive » Faucet with 30 LED lights, Isn’t That Cool?